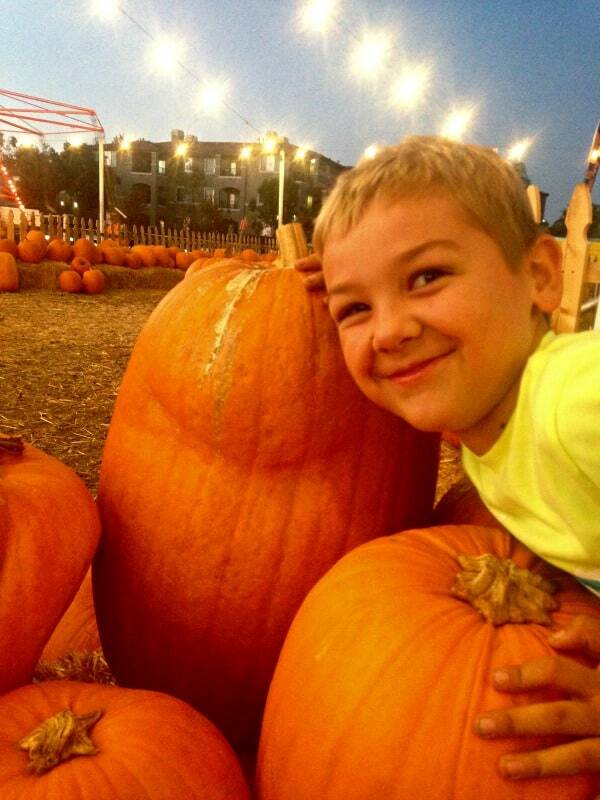 A pumpkin patch scavenger hunt makes it even MORE fun to go pumpkin hunting! 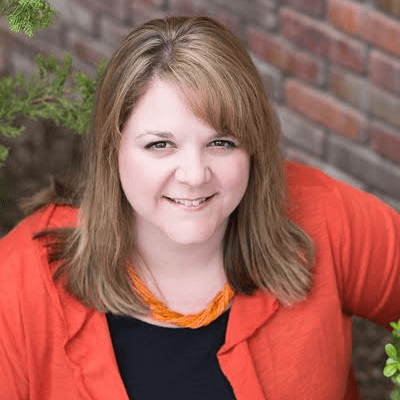 Don’t forget to download the free printable to take with you! 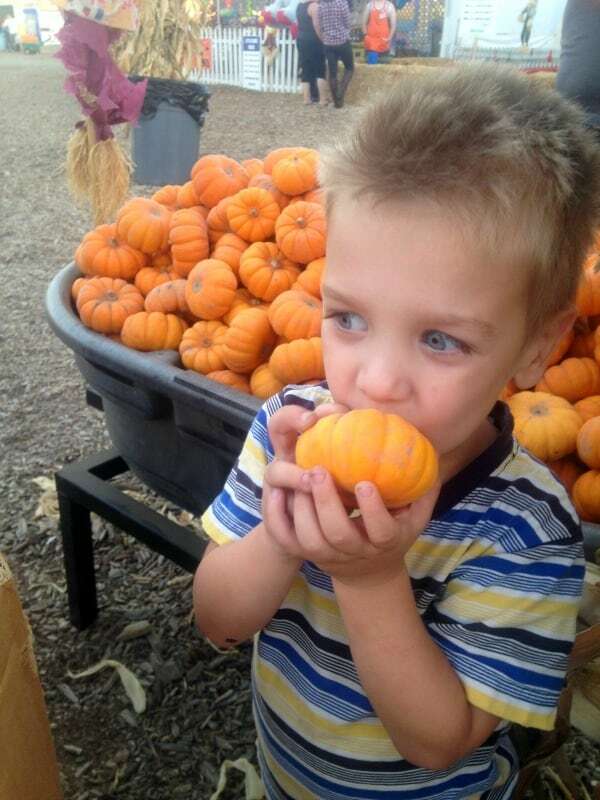 For weeks now, our kids have been waiting to go the local pumpkin patch. The seasonal company started stringing the lights and bringing in the fences at the end of September. When they finally opened the first weekend of October, the kids started asking when we were going EVERY time we drove by! (Which is more than once a day!) So tonight, we went for “happy hour” while the tickets are half price. 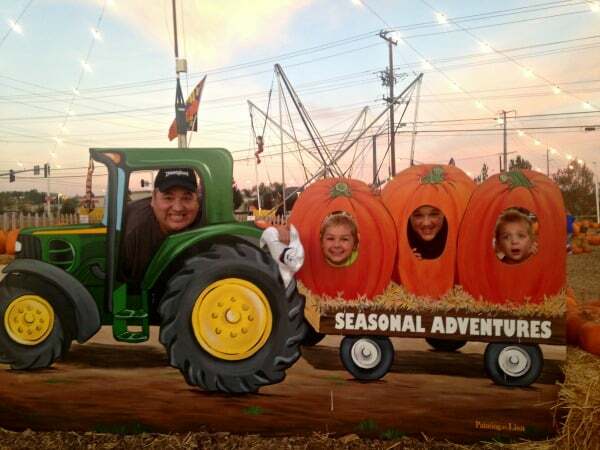 Even then, a trip to the pumpkin patch can get very expensive! Ours has giant inflatable slides, bouncy houses, swings, carnival games, a petting zoo and rides. So to get a little more out of our trip to the pumpkin patch, I created a simple scavenger hunt for the kids to do while we were there! You can download and print the free PDF by clicking on the link above. It will not have the watermark across the page. 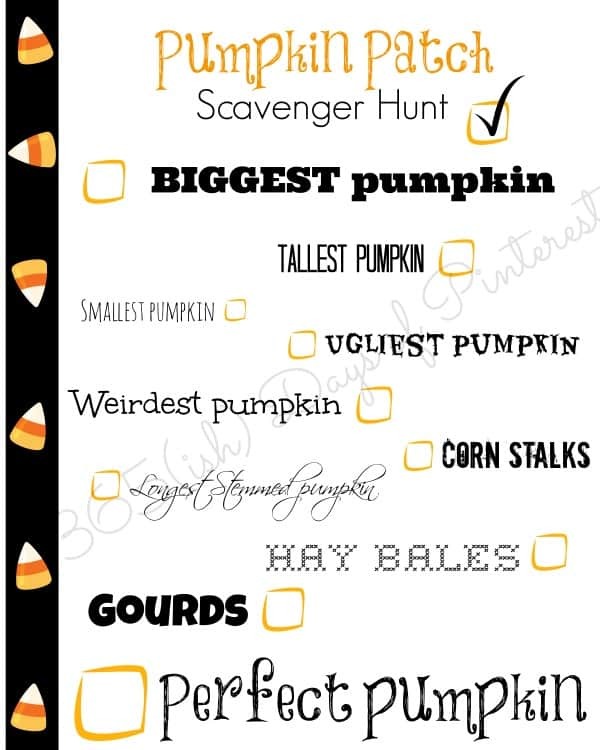 🙂 The first one we crossed off our list was the biggest pumpkin. 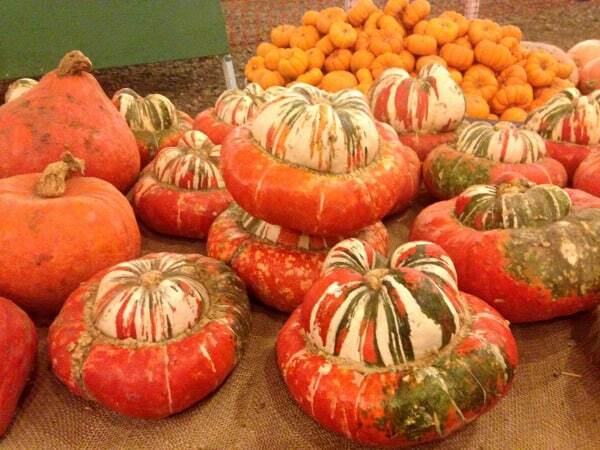 It wasn’t a prize-winning county fair pumpkin, but it was bigger than your grocery store special! The next one we crossed off was the smallest pumpkin. Charlie thought it was so cute, he needed to give it a kiss. After we crossed two or three items off our list, we would go spend some tickets in the bouncy house or on the slides. We picked this pumpkin as the most unusual one because it had a big lump in it and a crease that made it look like it was smiling. As we always do, we stopped by the photo opp spot on our way out to get our annual “how tall am I” photos. Bryce was cheating, I think. 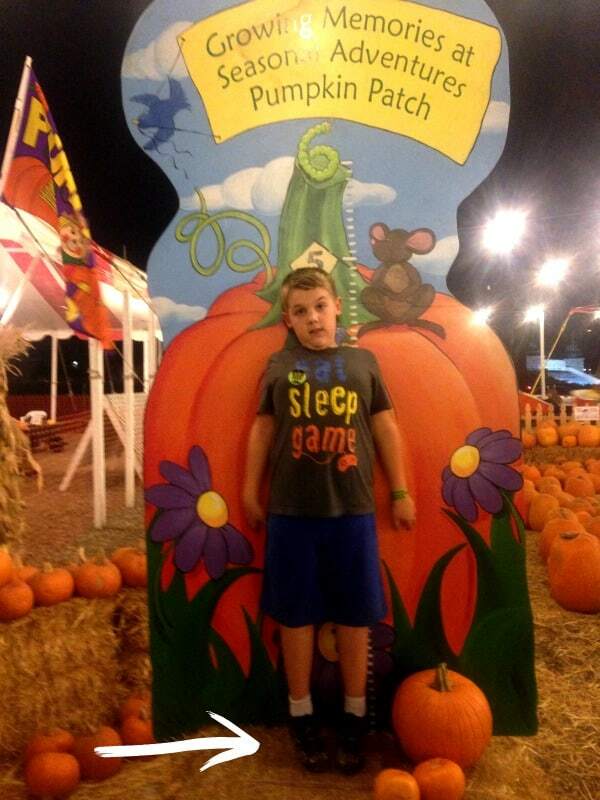 😉 Do you visit a pumpkin patch in the Fall? Honestly, I’m too cheap to actually buy our pumpkins there, but we have so much fun enjoying the cool night and the addition of the scavenger hunt this year made it even better! 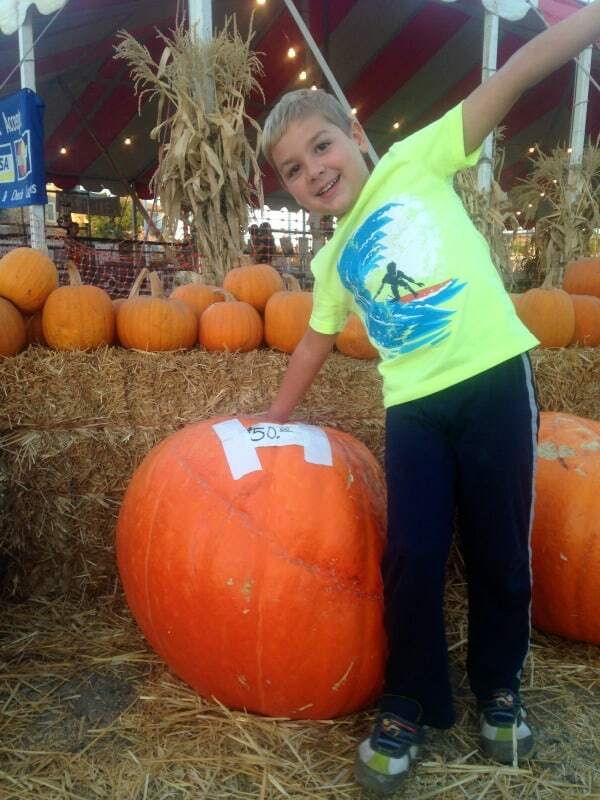 Don’t forget to download your FREE printable to use at the pumpkin patch! 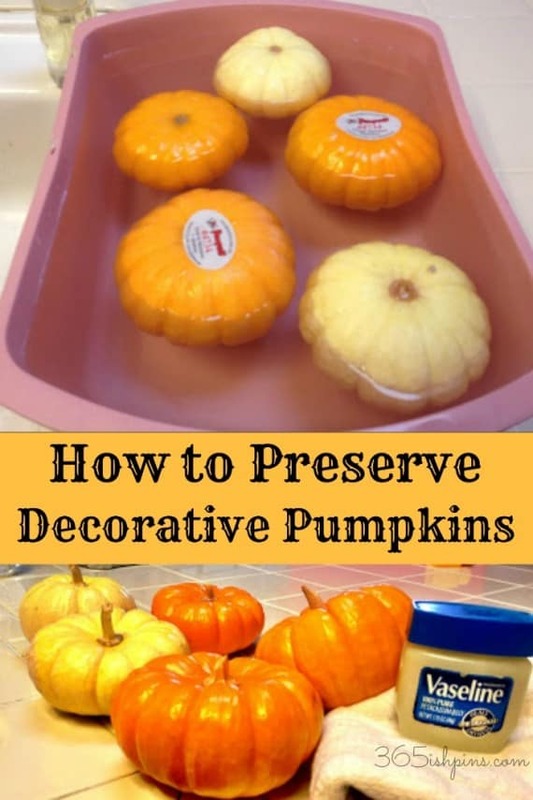 If you buy your decorative pumpkins early, be sure to give them this special treatment to help preserve them! That way they last the entire season instead of getting soft and rotten on your mantel. Love this printable and all the ideas. So perfect!